Surrounded by the beautiful Catoctin Mountains, Cunningham Falls State Park is home to Maryland’s highest cascading waterfall. A hiking trail and a short walking path both lead to the falls where visitors enjoy picturesque views year round. Other hiking trails of various difficulty levels weave through the park. Cunningham Falls is also home to the Annual Maple Syrup Festival which takes place every second and third weekend in March. 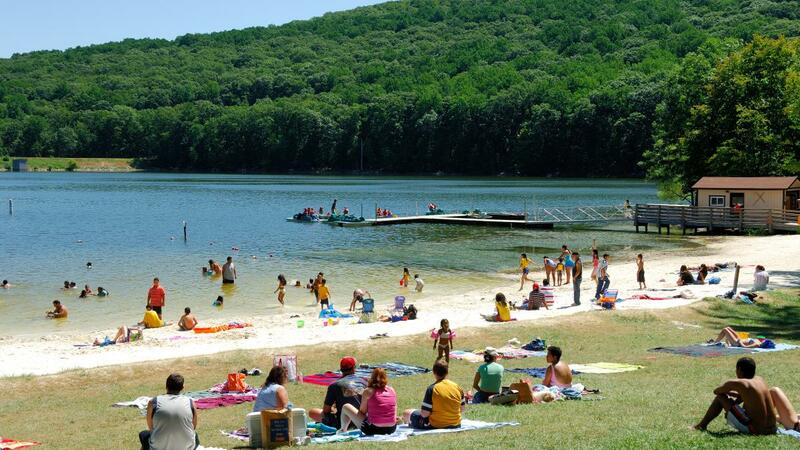 William Houck Lake is a popular spot in the summer with its sandy beach and swimming opportunities. Boating, fishing, and picnics are also popular here. The park is a great place to see lots of native Maryland wildlife. The Scales and Tales program brings live birds of prey and reptiles to Cunningham Falls that cannot be returned to the wild. Visitors can get a firsthand look at some of these amazing animals at the Cunningham Falls Aviary, a true hidden gem of Frederick County. Cool off after your hike on the beach at Hunting Creek Lake, just a few steps away from the trail to Cunningham Falls. 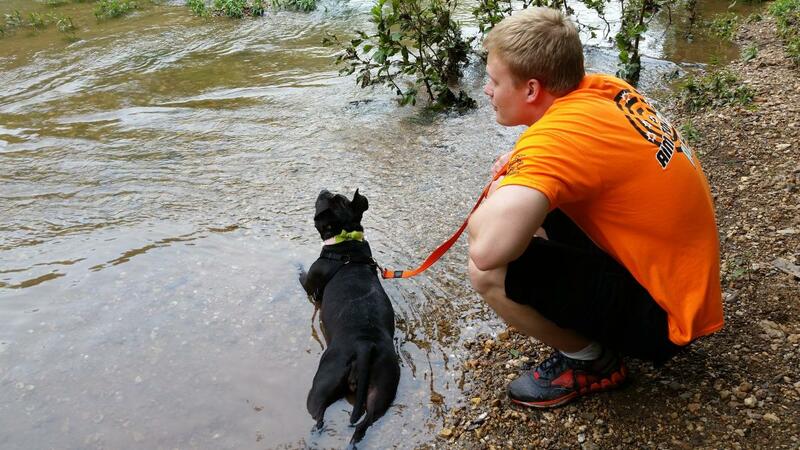 Your pets can get in on the fun at Cunningham Falls State Park! Pets are allowed everywhere except for the sandy portion of the beach and lake from Memorial Day weekend through Labor Day.